Sturdy design offers modern styling with proven X-Acto® quality. * Ideal for home office use. * Pencil-Saver feature prevents over-sharpening and thermal overload. 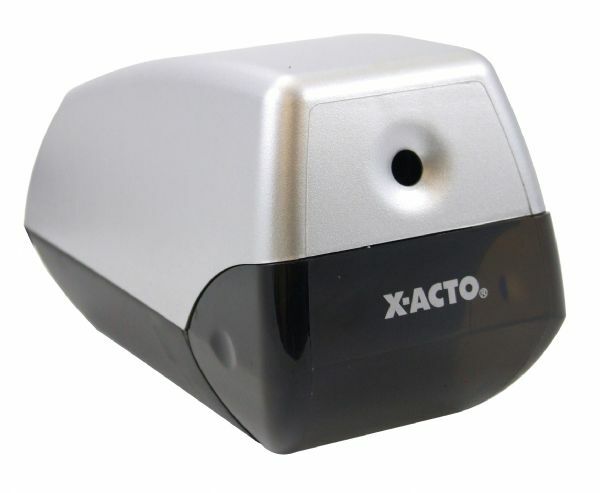 * Auto-Reset protects the sharpener from overheating. * Features hardened helical cutter for maximum precision and durability and non-skid feet for safety. 8.25" x 6" x 5.75"